Meal planning is an essential part of a real food household. Without a plan, it's too easy to fall back on processed food or takeout when dinnertime comes. Below are some examples of weekly meal plans that I use. 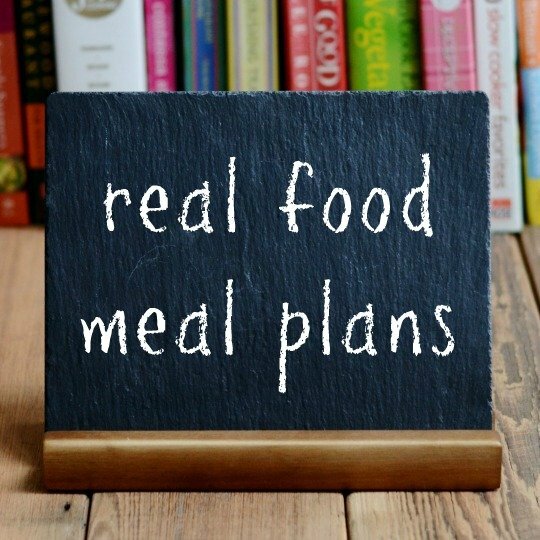 If you're not sure how to put together a meal plan for your family, read my post that details how to meal plan. And be sure to check out my round-ups of meals that cost less than $1 per serving: 30 Healthy Dinner Recipes, 20 Frugal Vegan Dinner Recipes, and 10 Frugal Crock Pot Recipes.